The Lifesize Icon 400 is designed to bring the power of video collaboration to small meetings. Sized perfectly for huddle rooms and wherever small teams congregate, Lifesize Icon 400 delivers an unparalleled immersive experience that enables participants around the world to focus on sharing knowledge and achieving the objectives of the meeting. And when paired with Lifesize Cloud, there simply isn’t a more powerful, yet easy-to-use video conferencing solution in the world. Connect with Lifesize Cloud to add seamless call escalation, corporate and meetings directories, secure firewall/NAT traversal and automatic software updates. Escalating to a multiparty call couldn’t be easier. Simply accept an incoming call or click on a contact in your directory to add participants. Record meetings and stream them live to any number of viewers with the push of a button. Capitalize on the power of our cloud service or infrastructure application to deliver even more substantial benefits to your business. Simple point-to-point and mobile calls that can quickly escalate to multiparty calls by clicking on a name in a directory are strong enticements to hold meetings via video. For IT, simplified setup through auto-provisioning, video network management and secure NAT/firewall traversal will accelerate deployment. 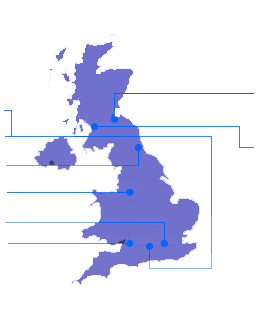 VideoCentric are the UK’s leading video conferencing solutions provider for hardware, software and cloud services. We are a fully accredited team with each of the worlds’ leading manufacturers of video conferencing, collaboration and telepresence solutions, and provide unbiased solutions that can be tailored to your business needs. VideoCentric offer a the UK’s most comprehensive maintenance and support packages, managed and run in-house by our own highly trained and experienced technical team. VideoCentric hold the highest possible accreditation level with Lifesize – Lifesize Gold – and are only 1 of 2 partners in the UK to hold this expert level of accreditation. We have also recently been the first partner to be awarded with Lifesize Cloud Master status, and have individuals certified as Lifesize Cloud specialists. VideoCentric have developed a strong relationship with both LifeSize as a company and individuals within it, since it was founded in 2003. Both our Sales and Technical teams are trained at Expert level, and our extensive experience and knowledge of LifeSize video endpoints, Cloud services and UVC Infrastructure has enabled us to provide support for a single system through to some of the most intricate and unusual video infrastructure set ups and integrations. VideoCentric also have ex-demonstration equipment available for sale. See our ex-demonstration stock page for details.